Brookfield Summer Vendor Info — Toronto Market Co.
Toronto Market Co is proud to present the second annual Brookfield Place Summer Market - a new place to discover local artisan goods, gourmet food, treats and more - right in the heart of the Financial District. This summer, the pop-up will run for 10 weeks with a variety of new vendors each week. Brookfield Place is one of Toronto’s largest and most beautiful office buildings. It has approximately 13,000 tenants and is home to the some of the world's most prestigious financial, commercial and legal firms, as well as the Hockey Hall of Fame. The Market will be held in the outdoor courtyard of the building from 10AM - 3PM on Wednesdays this Summer beginning June 12. The Garden Court faces Front Street and is nestled between Yonge and Bay Sts. This festive Summer Market will feature some of Toronto’s most interesting makers and local businesses. Items like jewellery, home decor, art, fashion and skin and beauty products will be featured throughout the summer. Gourmet food items will be another feature of the market, celebrating tasty treats and bites from innovative food businesses. We currently accepting applications from local vendors selling Artisanal Products (with an emphasis on handmade and local), Prepared/Pre-Packaged Foods, and Cook-on-site (no propane) . The Brookfield Place Summer Market will take place in the Garden Court, accessible from Front Street or from inside the building. 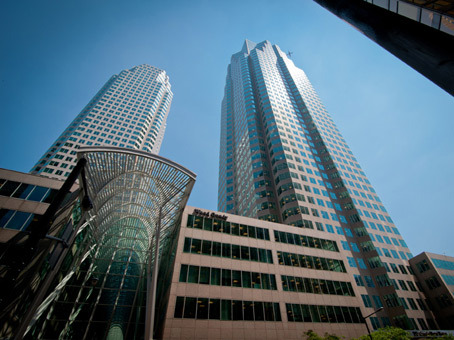 Brookfield Place is located at 181 Bay St. Vendors will load in on the Wednesday morning of the Market and will depart in the afternoon after the Market closes. Nothing may be kept onsite from week to week. Accepted vendors will receive the load in / load out procedures prior to the beginning of the Market. Vendors may sign up for as many dates as they are available, or select specific dates. Accepted vendors will be assigned some/all of the dates selected. Please note that as vendors will change frequently, you are unlikely to be at the market for the full duration of 10 weeks. There is limited power availability in the Garden Court. If you require electrical power, please ensure you make arrangements with us in advance. Please click on the vendor application form button to apply. You will be prompted to provide a $100 deposit. If your business is not accepted to the Market, the deposit will be refunded in full by/before May 30th, 2019. If your business is accepted, the deposit will be held as a security deposit and returned at the end of the market season. Security deposits held for market participants will be refunded by/before August 31, 2019 provided your business does not breach the terms of the vendor agreement or cause damage to the venue.